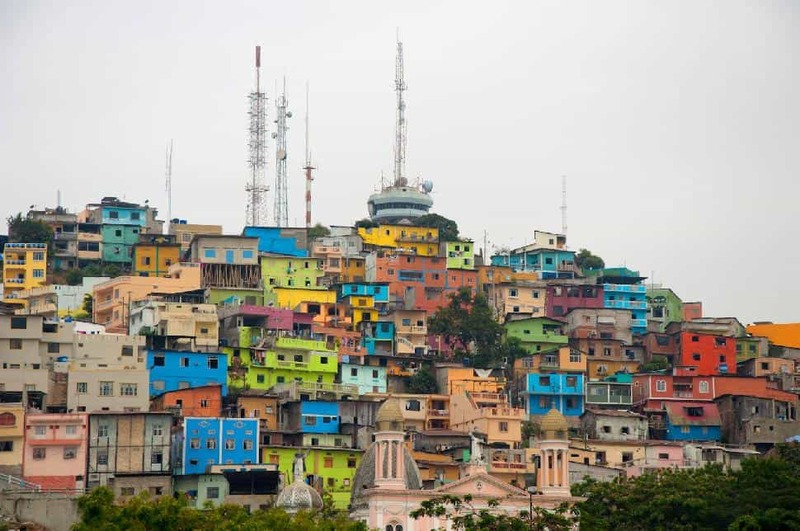 A city tour is a must in Guayaquil. Highlights include Seminario Park, known locally as Iguanas Park due to the large number of iguanas that make the city square home. The park is across from the cathedral. Throughout the country you will find a park across from many major churches, as a visit to the park following Sunday morning Mass has long been an Ecuadorian tradition. Along the revitalized Rio Guayas riverfront, Malecon 2000 encompasses more than 2,000 hectares of entertainment culture and nature. The boardwalk includes small shops selling local handicrafts, as well as art galleries, restaurants and bars, an IMAX theatre, museums and monuments. 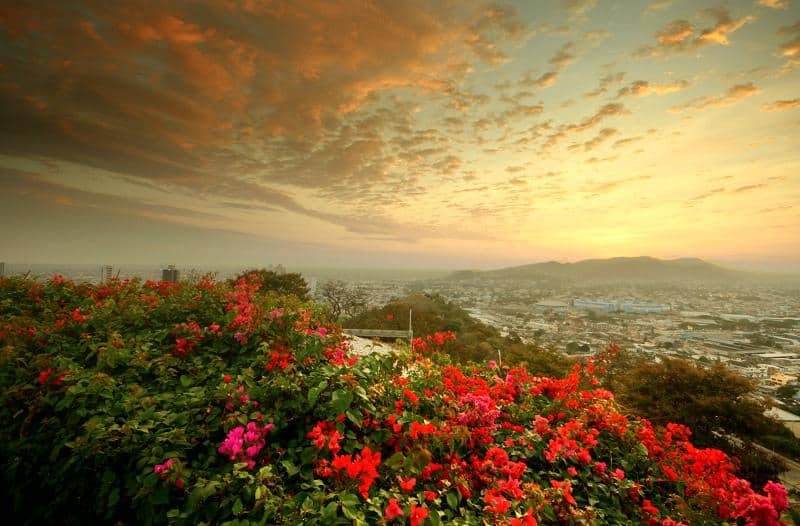 It also winds through the Guayaquil Botanical Gardens, which feature a spectacular range of plant species attracting numerous birds and butterflies. From the boardwalk you can see Santa Ana Hill. A shantytown not too long ago, it is now a colourful hillside of freshly painted, refinished homes, crowned by a chapel and a lighthouse. For those who are reasonably fit the 456-step climb to the chapel is worthwhile. The hilltop affords wonderful views of the city and the river. As you climb the steps there is a photograph of each home as it was prior to the renewal. Many now include a small shop selling postcards or refreshments. There are art galleries and bistros and in some homes you can sit down to a meal of traditional local food. There is often only one item on the menu but the food is plentiful and the cost almost nothing. 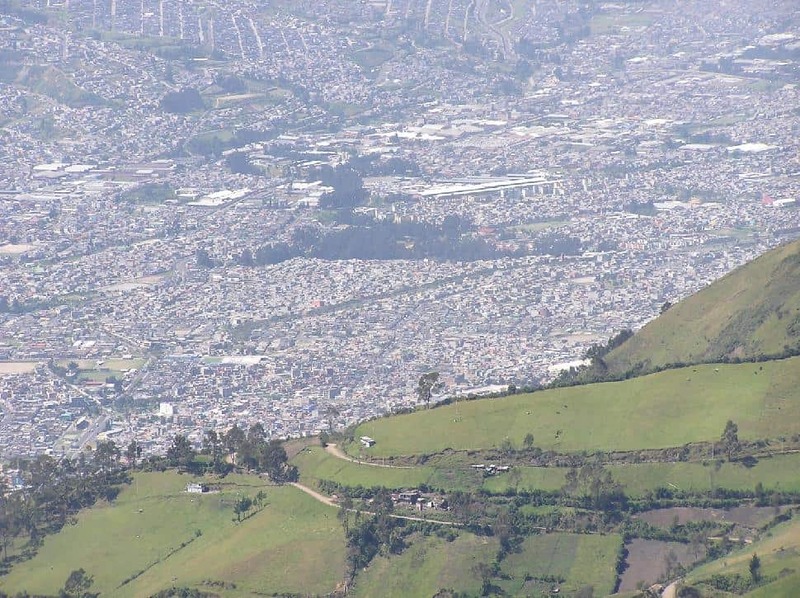 Quito, whose slogan is “touch the sky”, is built in valleys surrounded by seven Andean mountains. At an altitude of roughly three kilometres above sea level, local advice is to take it slow for the first few days to allow your body to adjust. 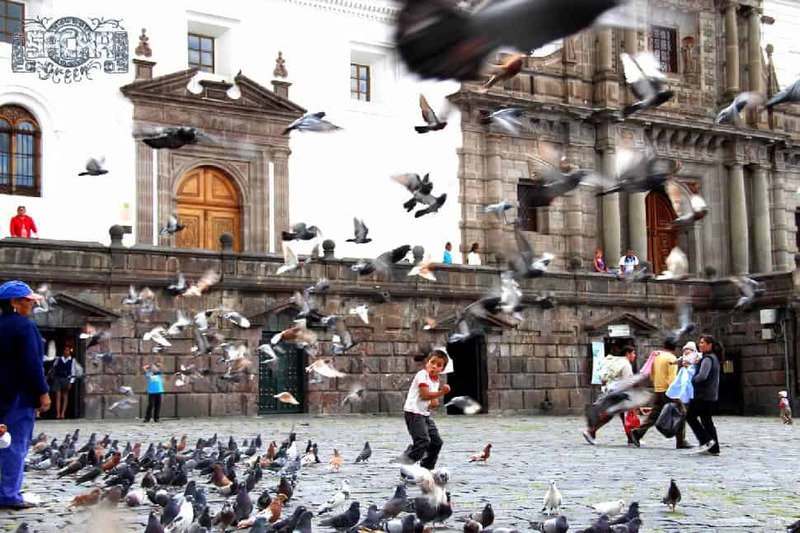 Quito was declared a UNESCO World Cultural Heritage Site in 1978. A city tour includes the old town, which has undergone a major revitalization; open city squares surrounded by colonial churches and government buildings; and, radiating out from the squares, narrow streets lined with boutique shops and art galleries, museums and restaurants. As well, 10,000 street peddlers were removed from the old town and provided space in 11 markets specifically built for that purpose. For those who like to bargain, these markets are a great way to spend a few hours. Quito’s Central Bank Museum includes the country’s most extensive collection of artifacts, dating from the pre-Columbian era through colonial times. The Mindalae Museum showcases the traditional costumes and handicrafts of many of the indigenous groups. With close to 30 museums throughout the city, history, culture and archaeology buffs will never run out of things to see. 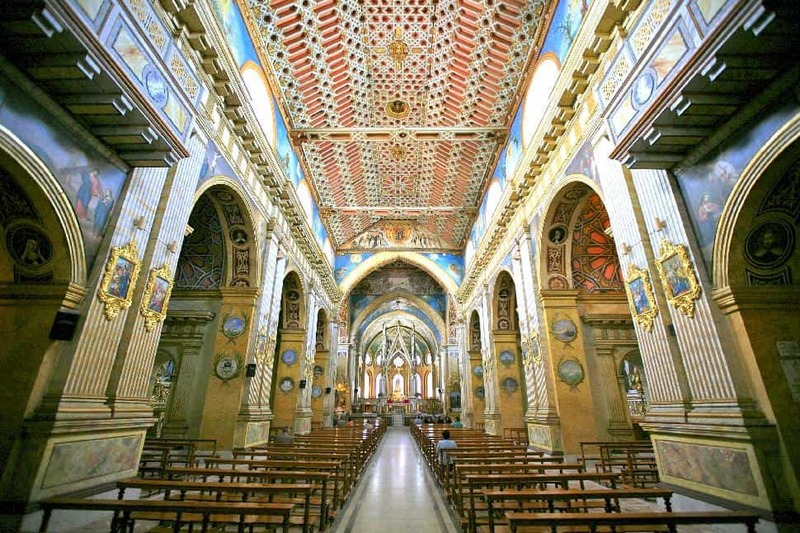 Four large colonial churches in the centre of town, still in daily use, are open to the public. If Quito’s altitude does not take your breath away, the gold covered altars, carved ceilings, and 500-year-old statues and paintings almost certainly will. A vibrant nightlife with an excellent selection of restaurants serving local and international food, plus theatres, bars and clubs, offer plenty of fun into the wee hours. On the other hand, Quito also has an abundance of parks, including Parque Metropolitano, the largest urban park in South America. No visit to the city would be complete without a ride up the TeleferiQo (cable cars) to the dizzying height of 4,100 metres above sea level. If the weather cooperates the view is spectacular. From the top of the lift a short walk further up the Pichincha volcano leads to a viewing area where three snow-capped peaks can be seen. Cotopaxi, Antisana, and Cayambe, along with Pichincha and three smaller mountains surrounding the city are all active volcanoes. Although locals say they occasionally hear rumbles, the last eruption, Pichincha, occurred in 1660. From this viewpoint most of the city of Quito is visible below. A path continues further up toward the crater but it is posted At Your Own Risk. An alternative is to rent one of the small Andean horses available at this point. A local guide will lead you on a 30-minute ride. Quito is also known as the Middle of the Earth. In 1736 French surveyors completed measurements that located the equator in the northern suburbs of Quito and a large monument was erected at what was then believed to be 0, 0’00” latitude. The advent of the Global Positioning System has since shown that their measurements were 200 metres off but the monument and museum still stand. Even more interesting however is the museum that has recently been built at the actual site of the equator. Guides talk about the indigenous people who knew there was something special about this place. You can participate in a number of experiments that demonstrate unusual phenomena that occur only on the equator. 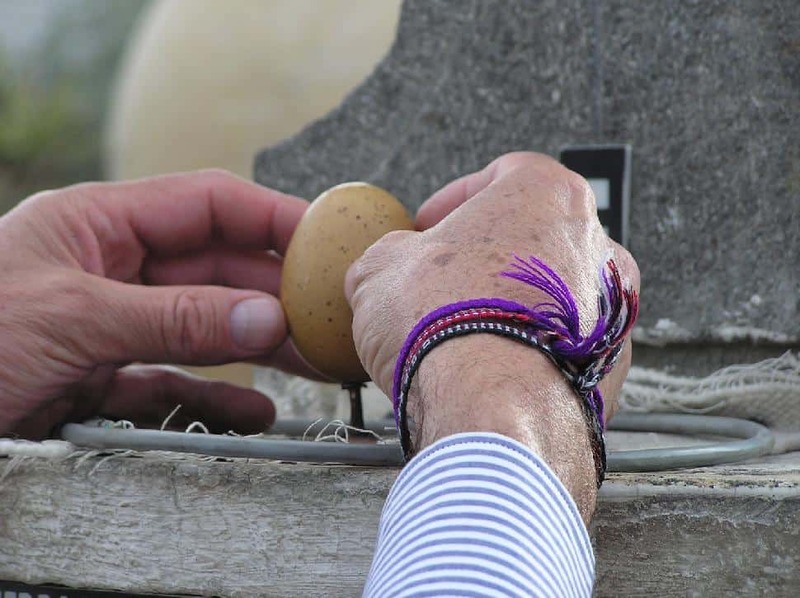 If they manage to balance an uncooked egg on a nail head they will be awarded a Master of the Egg certificate. There are of course many opportunities to be photographed with one foot on each side of the equator.